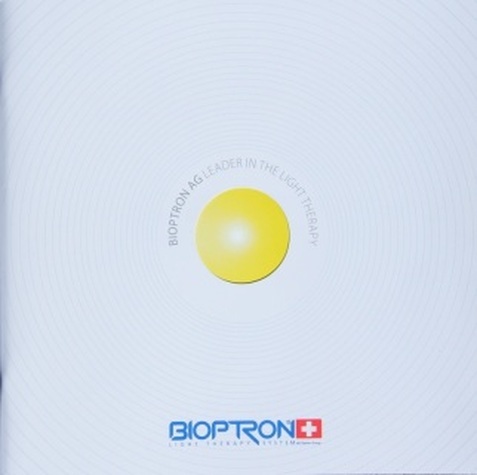 This brochure provides a deep understanding of all concept BIOPTRON light implies. It gives you a deep understanding of what BIOPTRON light is and what it helps for and against with detailed and in-depth descriptions and beautiful illustrations . It explains about BIOPTRONs many features and unique characteristics . You will be presented with all BIOPTRON light story - how it arrived at the ideas behind many years of intense scientific research, and thus how the concept has been developed over time and more. 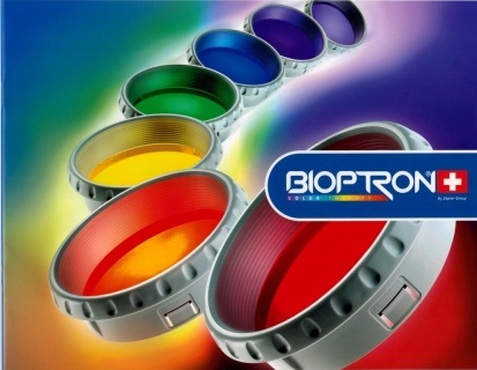 This brochure provides you with all the necessary knowledge about BIOPTRON handmade color shells of glass. Read about how the colors in combination with BIOPTRON light rejuvenates and heals your body and learn what the different colors prevent and cures. The brochure contains many detailed descriptions of how to deal with BIOPTRON light and color shells (see picture below). 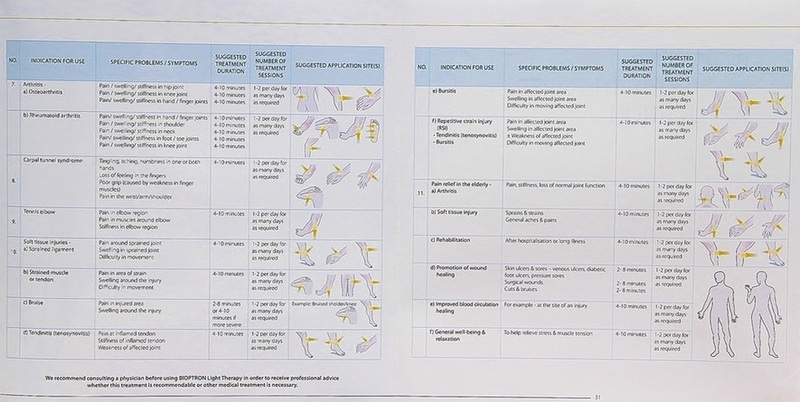 You will also find instructions for the use of cosmetic products as well as knowledge on a wide range of the collor-shells scientifically documented effects in an easily accessible language. 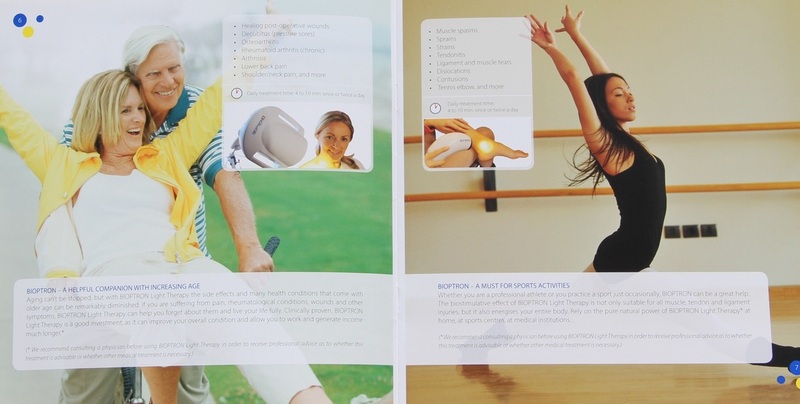 The booklet is 20 pages and made ​​in professional quality poster paper with a pleasant meal surface. The approximately 3cm shorter than an A4 paper in length but have the same width. 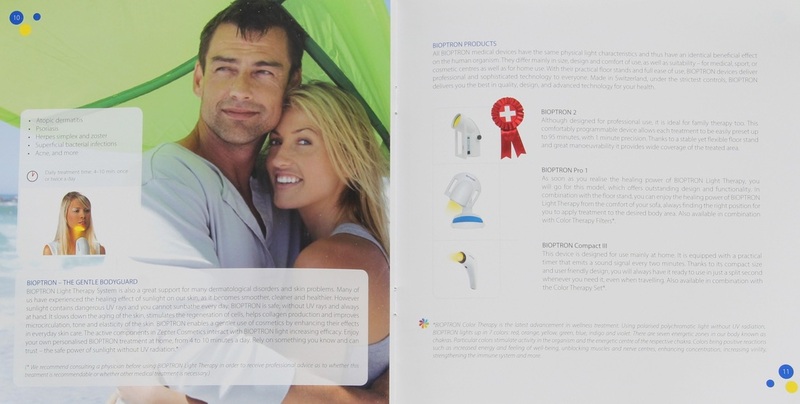 This brochure delves into the science behind color therapy, light and different colors wavelengths and frequencies. Learn more about how each color from BIOPTRONs handmade color shells stimulates and affects each of the body's seven chakras and their corresponding bodily functions, organs, nerve paths, etc . 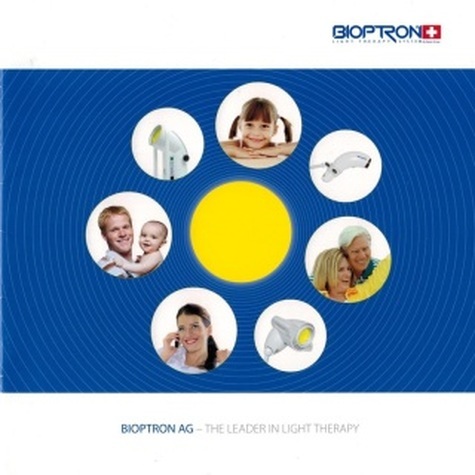 To get an accurate overview of what colors exactly you need to be illuminated with the BIOPTRON light, and why you should choose BIOPTRON with its unique and groundbreaking composition of BIOPTRON light and color therapy with bio - information . The brochure measuring 2/3 the length of an A4 page , but the width of an A4 page . 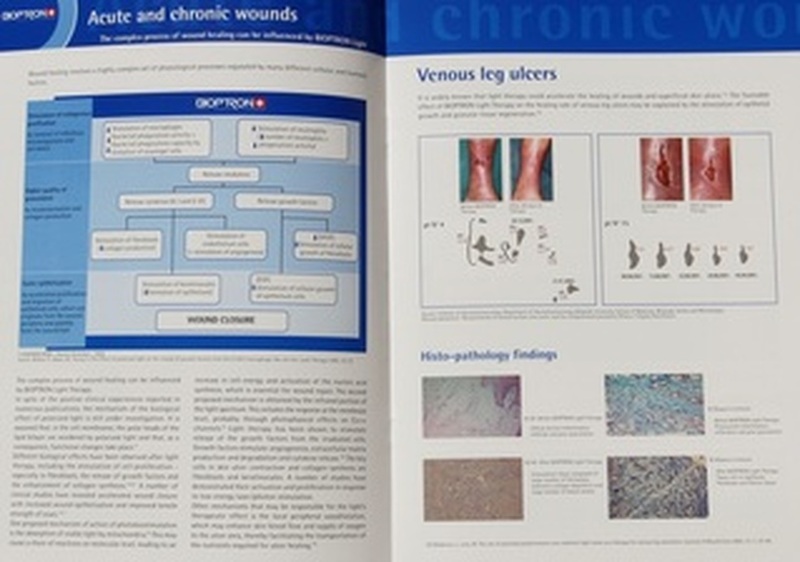 It is made of professional quality poster paper with a pleasant rye surface and is 12 pages . The brochure has the exact size of an A4 page and is made of professional quality poster paper with a pleasant meal surface. It is 10 pages . 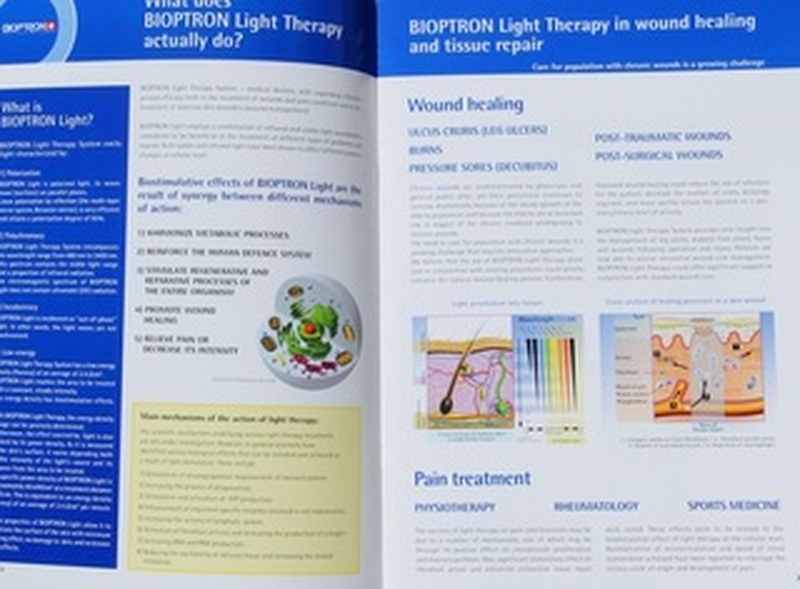 This brochure looks in depth at how BIOPTRON light heals wounds and burns . You get detailed descriptions of how light of different wavelengths heals different layers of the skin and exciting knowledge about it's histopathological findings. 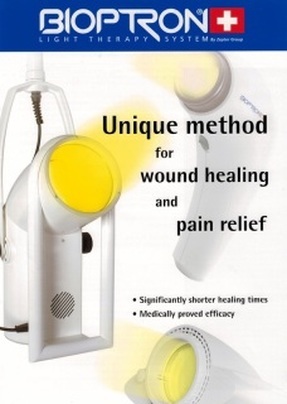 You get a clarifying comparison between light therapy and various other therapy forms, and you will also find a variety of before and after pictures from the treatment of various wounds . 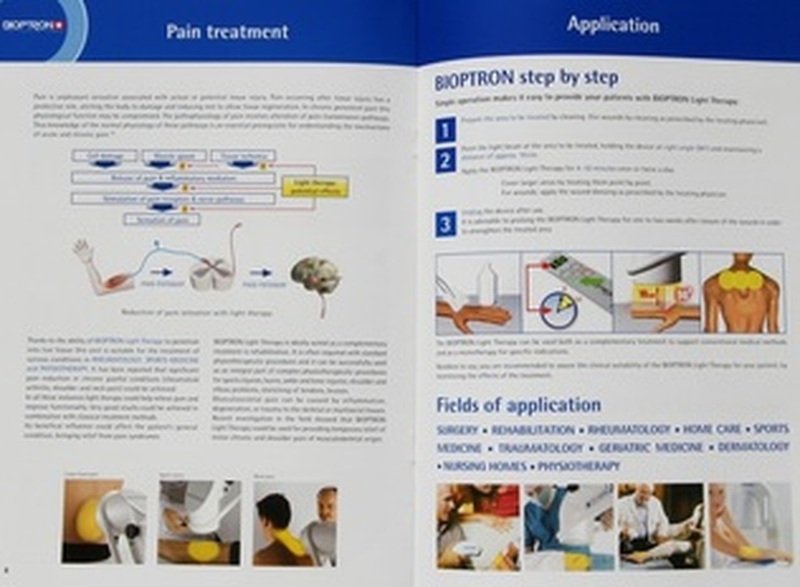 In this brochure you will be presented with BIOPTRON COMPACT III and PRO 1 with all their properties and characteristics. You will be introduced to how BIOPTRON light therapy works, what it is and what benefits you'll get out of it . The brochure has exactly the same size as a piece of A4 paper and is made of professional quality poster paper with a smooth surface . It is to fold out and is on 5 pages.